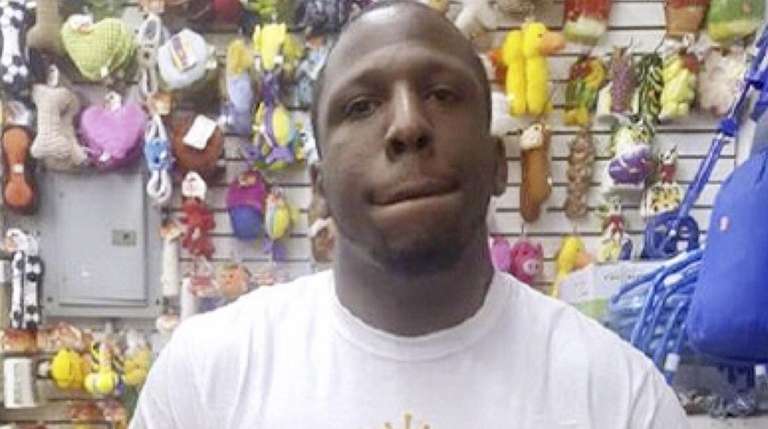 Ransom, who was shot multiple times by police, has been charged with murder, robbery, assault, aggravated manslaughter and menacing, the NYPD said Wednesday. He remained hospitalized at NewYork-Presbyterian Hospital in Flushing. Video with Ransom’s name and likeness shows him going to a police precinct insisting he's a superhero and wearing only an ersatz cape and underwear. The date of that video is unclear. There is also a photograph showing the man wearing an FBI jacket on social media, as well as a lawsuit he filed alleging he had been falsely arrested in Brooklyn. Cops in detective's friendly-fire death fired 42 rounds: NYPDChristopher Ransom was charged with murder, aggravated manslaughter, robbery, assault and menacing, police said. NYPD Det. Brian Simonsen known as 'Smiles'"He could make friends with perfect strangers ... Everybody knows Smiles." Queens detective killed in 'tragic case of friendly fire': NYPDDet. Brian Simonsen was responding to an armed robbery at a T-Mobile store, Commissioner O'Neill said.